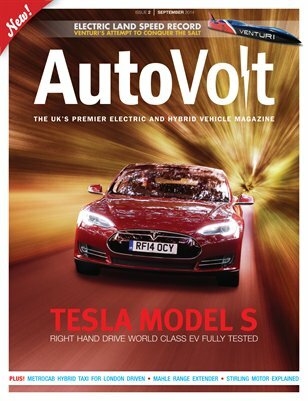 AutoVolt is dedicated to bringing you all the latest news and information about hybrid and electric vehicles. Main feature articles in this issue are: - Now available in right hand drive for the UK market, we give the Tesla Model S a drive. - We followed Venturi on their 2014 world electric land speed record attempt at the Bonneville Salt Flats. - London taxi's will soon need to be 'zero emissions capable'. We drive the £2million prototype new Metrocab and find out what it's like. - We were given access to drIve MAHLE Powertrain's REx EV: A retrofitted EREV Audi A1 development car. - Stirling Engines explained! A fascinating old technology revived for the 21st century to harness the power of the sun. - A guide to buying a used Honda Insight (2nd Gen.). Every issue is complemented by the latest EV & hybrid news, from both general and racing perspectives. Plus, each issue contains handy guides explaining electric and hybrid vehicles to both the beginner and enthusiast alike.